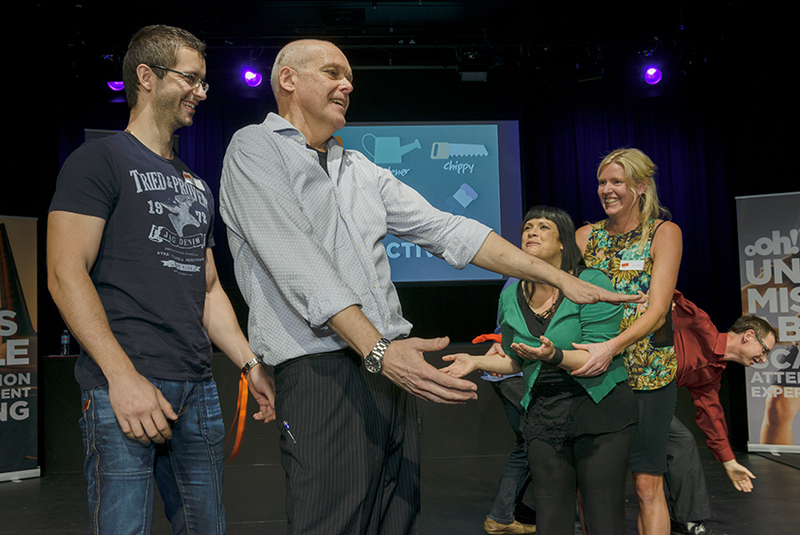 In 2019, IMPRO AUSTRALIA is launching the THEATRESPORTS CORPORATE CHALLENGE. Taking part in Theatresports Corporate Challenge is a chance to build your teamwork, communication and presentation skills & it’s the most fun you’ll ever have at work. Our clients include: Westpac, Heritage Bank, Google, Price Waterhouse, Gadens Lawyers, Qantas, IBM, Apple, KPMG, Honda, 3M, Harvey Norman, Woolworths, The Starlight Foundation, McDonald’s, Hutchison, CocaCola Amatil, IGA, Xerox, Tricon, NRMA, Yahoo!, XYZ, Microsoft, Canon and Macquarie Bank.